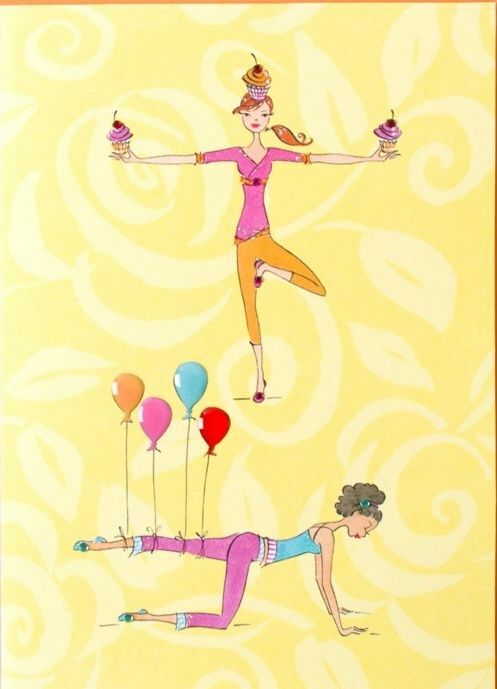 Oh the things we do to find balance! Thoughts of cake and ice cream invaded my mind this morning during practice as the realization hit me that my youngest son would celebrate his 20th birthday today (Happy Birthday Nick!!!). Usually the mind would get waaaay ahead of itself on days like this, organizing everything from picking up the cake at the store, getting his favorite ice cream flavors (a given birth right) and where/when we will go out for dinner, etc. And so it was on my yoga mat during asana and meditation that I found the conditioned mind had changed: no longer were those details invading my thoughts, rather, how would I approach cake and ice cream from an Ayurvedic perspective? What elements would be at play and how would they interact with my constitution and certain imbalances that I knew were currently in action? Maybe this would be a good place to back up. Ayurveda is the sister science of yoga, translating directly as “life knowledge” and is a highly personalized system of health care that is over 5,000 years old, predating Traditional Chinese Medicine (TCM) and modern-day allopathic systems. Consider our Western approach to disease where recognize symptoms and work to treat these to relieve the discomfort, Ayurveda recognizes that these outward observations underlay a basic cause, a condition, an imbalance in the individual’s constitution, or Vikriti, away from a place of balance which we are born with, our Prakriti. Ayruveda and yoga share similar histories and connect through the five elements (Mahabhutani) of Earth, Water, Fire, Air and Ether. Through the pairings of these elements that we find our Prakriti: Vata constitutions are of air and ether, Pitta types are connected to fire and water and dear Kaphas are of earth and water elements. It was these five elements that came to mind in anticipation of this evenings celebratory dessert. Tastes are in turn related to these elements so I can rationalize that cake is sweet and heavy and would add to a Kapha and the ice cream is cold would decrease Pitta fire and because it is from dairy (think heavy) it will again add to Kapha. Simple concepts such as "like increases like" and "opposites balance" help to determine what type of grains, protein sources, vegetables, fruit, herbs and spices we each need at any given meal time. Note that calories nor thoughts of guilt entered this conversation I was having with myself, simply how will this nourish me? A completely different kind of approach to food and eating habits. So at the end of the day let it be safe to say that there will be an imbalance, it is not going to cause a crisis of spirit, but my mind is now attuning to a new sense of balanacing my relationship with food. Interested in learning more? Banyan Botanicals is a great place to start and learn more about your specific health care requirements. Please, at some point consider consulting with a certified Ayurvedic Lifestyle counselor who can better diagnose energetic imbalances and guide you through the process. Those astute to my teaching and blogs will notice how much I enjoy creating playlists for classes, especially those based on a theme. Today the sounds of "Sweet Surrender" invade my mind and lead to this song. Perhaps a distraction, I'd rather think of it as a way of connecting internal thoughts to outside vibrations, and in this case thinking about Ishvarapranidhana, how to surrender The Self, thoughts, actions, Dharma to the greater good. So we have made it to the third of the five Niyamas from The Yoga Sutras of Patanjali, here we practice Svadhyaya, the study of the self. As I write here today, I notice a subtle pressure on my neck, some sort of tension, strain that is calling to me. Of course I ignore it because there is a job to be done, a cup of coffee to drink, not to mention the laundry, dishes and we will NOT even think about the yard work that lays ahead.